Sarah and I made three of Shauna’s recipes and all of them were winners. I shared her Blueberry Crisp recipe (which my mom is now hooked on) and wanted to share another of her delicious recipes that we made – Annette’s Enchiladas. 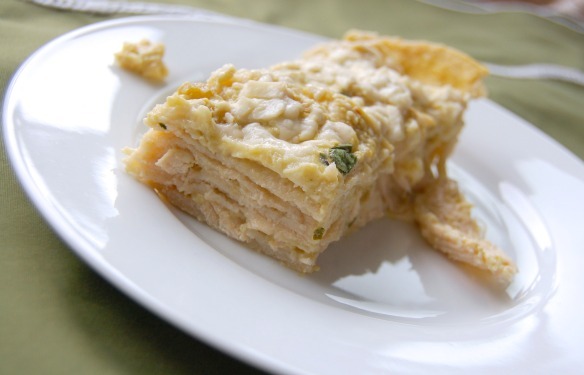 Tim and I love Mexican food so I immediately latched onto this enchilada recipe while reading Shauna’s book. I was intrigued by the green sauce and thankful that the enchilada preparation didn’t necessitate rolling. 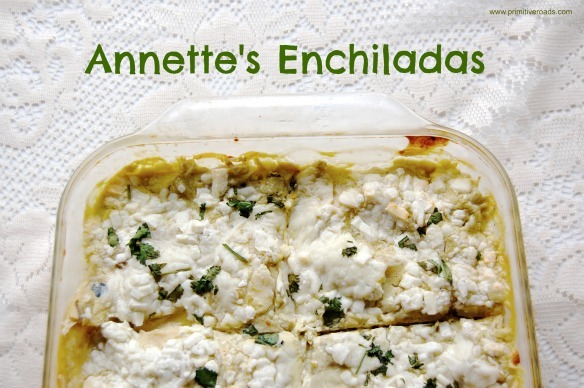 Annette’s Enchiladas is a casserole style dish with a zesty sauce made of sour cream and chili verde. 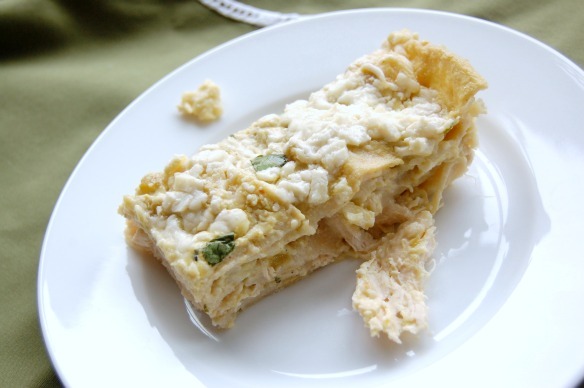 Corn tortillas are layered with sauce, a hefty dose of cheese, and shredded chicken. Several layers later, some time in the oven, and we had a large pan of gooey enchiladas with a perfect little spicy kick. Don’t forget the sprinkle of cilantro, it really brightens up the flavor! Bake until warmed through and the cheese is melted, about 30 to 35 minutes. Let sit at least 15 minutes before cutting. Top with chopped cilantro.